Mackenzie (Mack) Harper is a twenty-four year old school teacher who moves to Rose Cottage in Cape Elizabeth for the summer. She arrives with her six year old nephew, Lucas, who’s staying with her for a few weeks while his parents are in Europe. Placing storage boxes on top of the kitchen cabinets, Mack finds a diary, opening it to the first page it reads, ‘This is the diary of a Rose, dated March 4th, 1947’. 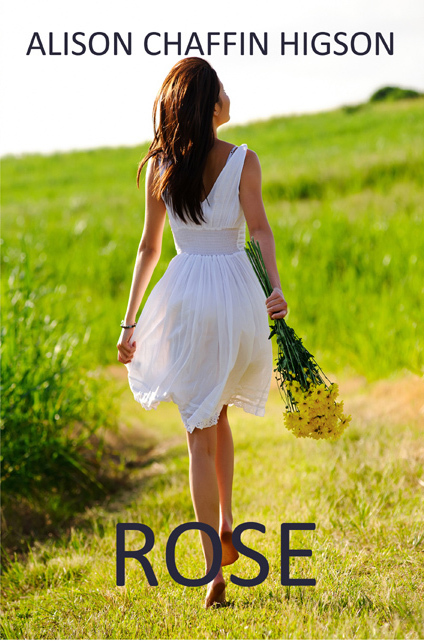 Settling down to read this diary, Mack discovers a love story between Rose and a man named Jacob Evans. Realizing that Jacob is still alive and around eighty-eight years old, Mack tries to contact him to tell him Rose’s story. She leaves a message with Jacob’s housekeeper and hopes that he returns her call. Within an hour of actually meeting Dean has his hands on her legs, although due to spilled coffee, he discovers he can’t stop touching her. Dean was only too glad to escape to Cape Elizabeth, away from his mother, who wants him to be married to Cynthia, her friend’s daughter, who he has no interest in. Together Mack and Dean try to unravel the mystery of what actually happened to Rose in 1947. Thomas Degan the owner of Rose Cottage is a loveable eighty year old man who befriends Lucas, taking him fishing and spends time with him reading ‘Our Gang’ Comics. All these characters come together in a story of loss, love and friendship.